MYTH: Ethanol adds water to fuel and causes phase separation. The real story: Ethanol is anhydrous. E10 fuel cannot absorb enough moisture from the air to cause phase separation (separation into two liquid phases). If water is allowed directly in the tank, phase separation can occur in both straight gasoline and ethanol blends as stated in an Oklahoma State University Study on Ethanol Gasoline Blends and Small Engines. MYTH: Ethanol reduces the performance of my boat. The real story: Ethanol provides high octane for exceptional engine performance and reduced emissions. Need proof? The National Boat Racing Association (NBRA) uses E10 exclusively for all their races. MYTH: Ethanol doesn’t work with two-stroke motors. The real story: Internal testing must be completed before a manufacturer recommends using a specific fuel blend. Recognizing the fuel’s growing popularity, all small engine manufacturers have long permitted the use of E10. See your manual for more information. Today, fuel blended with 10 percent ethanol (E10) comprises more than 95 percent of the gasoline sold nationwide. Regardless of make and model, most of the 12 million recreational boats in the United States are approved to operate on E10. 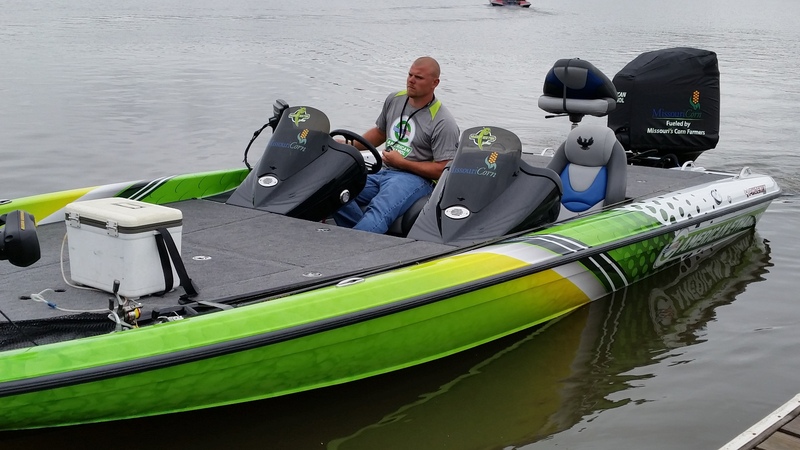 Putting E10 to the test, the Missouri Corn Merchandising Council (MCMC) is a partner for the 2015 Bass Pro Shops Crappie Masters Tournament Trail. Learn more about American Ethanol and Crappie Masters. Crappie Masters Television Show is available on the Pursuit Channel for Dish Network and Directv customers. Check with your service provider for a full schedule.